Volvo Cars has received yet another award for its highly successful Drive-E powertrain family. The prize, announced on December 10th at WardsAuto Outlook Conference in Southfield, Michigan, marks further recognition of Volvo’s highly successful Drive-E powertrain technology. “The Drive-E powertrain family represents one of the jewels in the Volvo Cars crown. 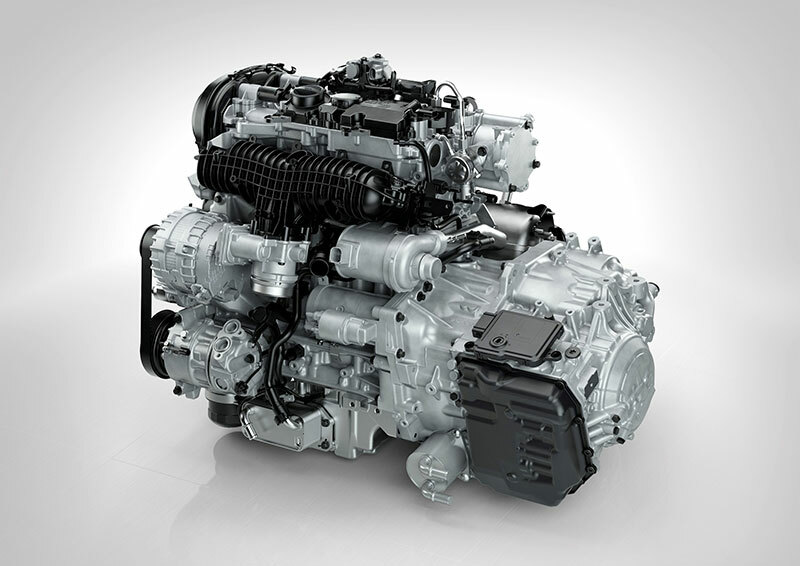 With the development of our 4-cylinder engine architecture we have delivered a broad offering of both gasoline and diesel powered engine variants that are also designed for hybrid applications, as can be seen in our new XC90 T8 Twin Engine plug-in hybrid. We have concentrated on finding the sweet-spot where performance meets efficiency, and we believe that this award once again reflects our success in this endeavor,” said Dr. Peter Mertens, Senior Vice President Research & Development at Volvo Car Group. A jury of eight WardsAuto editors tested 38 competing engines throughout October and November this year during their daily commutes in and around Detroit. The tested engines were awarded points based on horsepower, torque, drivability, noise mitigation, flexibility, observed fuel economy and on-board technology. The Drive-E T5, a turbocharged 4-cylinder, combines Brake Energy Regeneration, Start/Stop, ECO+ Technology and a smooth eight-speed Geartronic automatic transmission to great effect on this front-wheel drive model, returning 25 mpg city and 37 mpg highway. “We are very pleased to receive this award for our 4-cylinder Drive-E engine. It is further proof, if required, that 4-cylinder turbocharged engines are the perfect solution for the majority of today’s driving needs. We have worked hard to deliver the perfect balance between performance and efficiency, whilst ensuring a dynamic, yet comfortable ride,” said Michael Fleiss, Vice President, Powertrain at Volvo Car Group. The award comes hot on the heels of the formal announcement by Volvo Cars that they are also developing a 3-cylinder gasoline engine for their future small and medium car models.